When you think of Islay the first thought that comes to mind is probably whisky! Not strange considering this relatively small island is home to eight whisky distilleries, all famous the world over for their unique taste and character. A few of the distilleries on Islay such as Ardbeg, Laphroaig and Lagavulin produce some of the peatiest whiskies in the world. 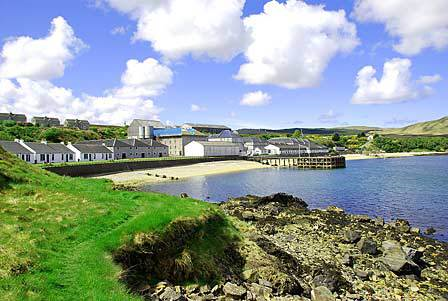 It’s not without reason that Islay is a whisky region on its own. 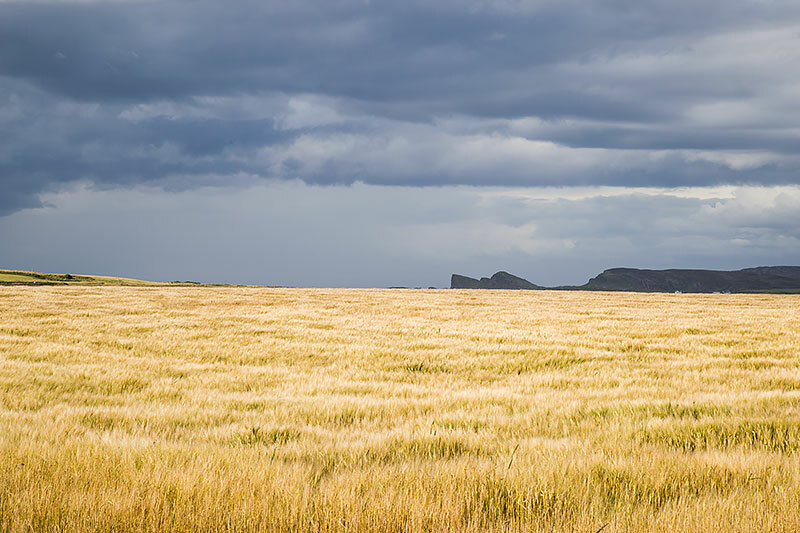 The whisky distilleries attract thousands of visitors each year from all over the world so distilling whisky and the related tourism are an important source of income for the island, others are farming and fishing. Islay has the name of being the Whisky Island of Scotland but this relatively small island of 40 x 60 km in the Southern Hebrides has a lot more on offer. 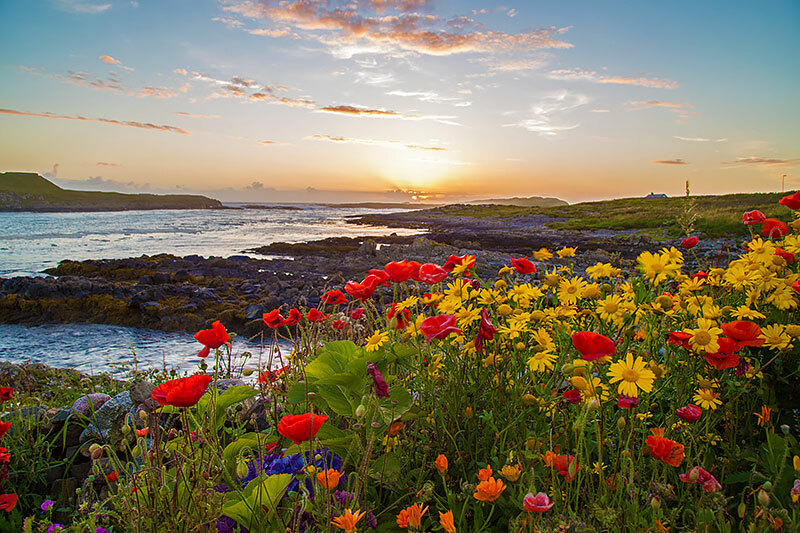 If you’re a fan of beaches, ocean and stunning sunsets then Islay is the place for you. Machir Bay is probably one of the best beaches on Islay. 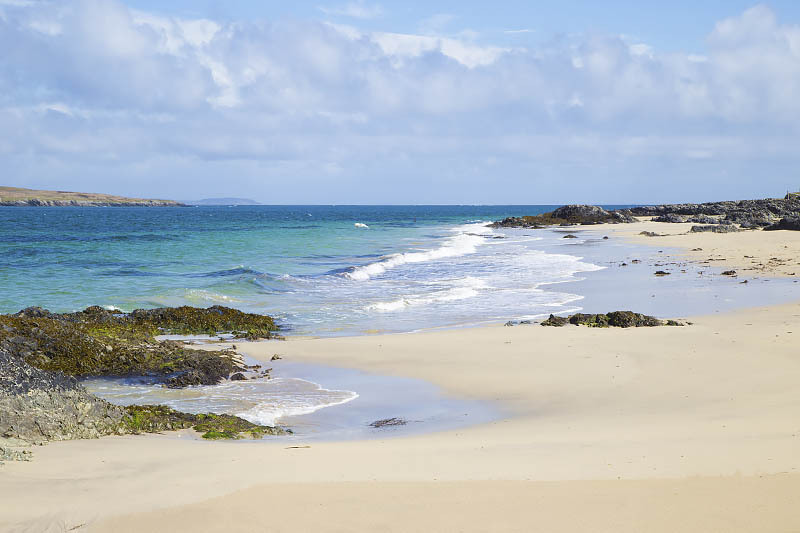 It is a beautiful stretch of white sandy beach backed by high dunes on Islay’s Atlantic Coast. This beach is perfect to enjoy the beautiful Islay sunsets and so is Saligo Bay, a few miles to the north. The largest uninterrupted stretch of beach on the island starts at Kintra, a few miles west from Port Ellen. Kintra also has a campsite in the dunes near the beach. Close to the pretty seaside village of Port Ellen are a few beautiful and rather sheltered beaches. The nicest one is Kilnaughton Beach facing east, which is a beautiful sandy beach opposite Port Ellen on the Oa Peninsula. Further down the Oa, behind the Lighthouse, are the Singing Sands, even more sheltered from the westerly winds. While the Isle of Mull has the reputation for White Tailed Sea Eagles, they were first re-introduced there years ago, Islay has a healthy population of these birds as well. Also Golden Eagles and other birds of prey can be sighted regularly. The biggest spectacle however is the return of the Geese from Greenland in October. 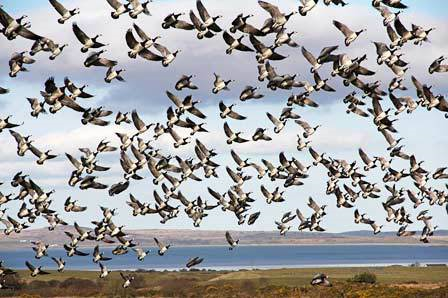 Over 40,000 Barnacle and thousands of White Fronted Geese make the journey to Islay to feed on the fertile grasslands until they return north in April. This mass migration attracts many birders to the island and is a sight not to be missed. So whether it is whisky, beaches or birds you’re interested in, Islay is the place to visit. But it doesn’t stop there. The Isle of Islay has a lot more to offer such as stunning scenery, a world class golf course, a friendly and welcoming atmosphere, pretty villages, great opportunities for cycling and walking, boat trips, the nearby Isle of Jura and lots lots more. Come and find out on the Islay Info Website.